You can create printable tests and worksheets from these Grade 10 Cell Structure and Function questions! Select one or more questions using the checkboxes above each question. Then click the add selected questions to a test button before moving to another page. 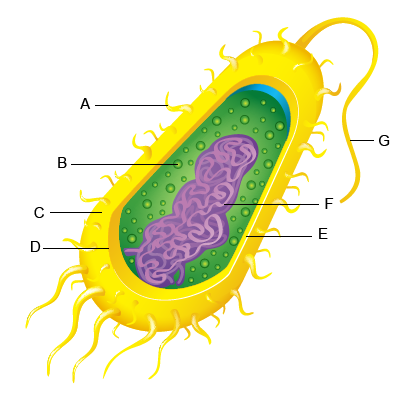 prokaryotes are surrounded by a cell membrane and eukaryotes are not. prokaryotes have a nucleus and eukaryotes do not. eukaryotes have DNA and prokaryotes do not. 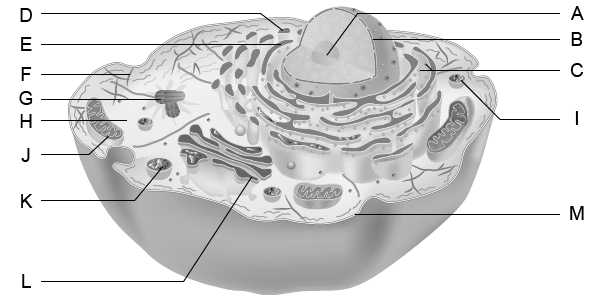 eukaryotes have membrane-bound organelles and prokaryotes do not. 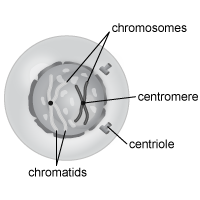 The image below represents a phase of mitosis. Which phase is represented by the image? Which statement accurately describes osmosis? The direction of the water flow is opposite of the gradient for the solute diffusion. The direction of the water flow is the same as the gradient for the solute diffusion. The movement of particles of solute is from high concentration to low concentration when water cannot cross the cell membrane. The movement of particles across a cell membrane uses energy derived from ATP. Which statement is true about structure M shown in the plant cell? M is the cell membrane and is also found on animal cells. M is the cell membrane and is not found on animal cells. M is the cell wall and is also found on animal cells. M is the cell wall and is not found on animal cells. 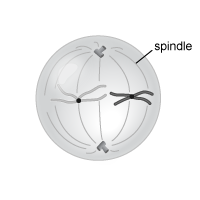 Which phase of mitosis comes immediately before the phase represented in the image? Which organelle of a plant cell is most affected by direct sunlight? 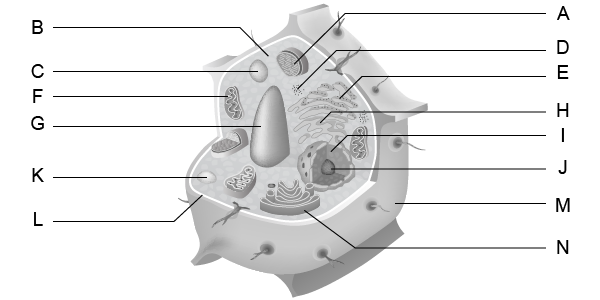 Write the letter (A - M) that corresponds with each structure of the animal cell below. 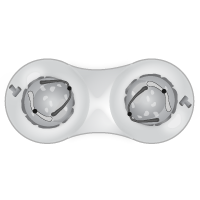 The image below represents a phase of mitosis. Which phase is most likely represented? Write the letter (A - N) that corresponds with each structure of the plant cell below. What is happening during the phase of mitosis represented in the image? Chromatids coil to form chromosomes. Chromosomes move to opposite poles of the cell. Chromosomes align along the "equator" of the cell. What takes place in the mitochondria? Where do most of a cell's chemical reactions take place? Which structure is primarily responsible for directing ALL processes of a plant cell? Which description accurately describes the cell membrane? 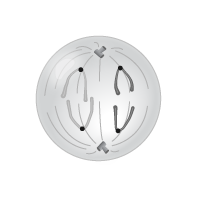 Which structure shown on the diagram aids with cell movement? What is the main function of a selectively permeable membrane?